Another City! Another Meetup! Another bunch of awesome Testers! So the Pune meetup chain has started and we can’t be more happy about it. And of course, the tradition continues where one of our meetup attendees only writes the Roundup post. So here goes Akshay Maldhure sharing his meetup experience. So I came across this really cute name, The Test Tribe, on Facebook. 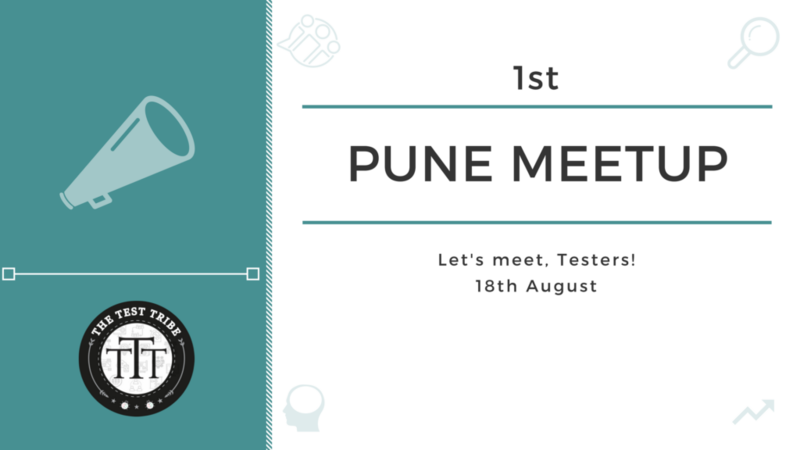 🙂 I feel lucky to have come across this community for and by the Testers from the industry, and that’s when I learned about their first Pune meetup on their website. 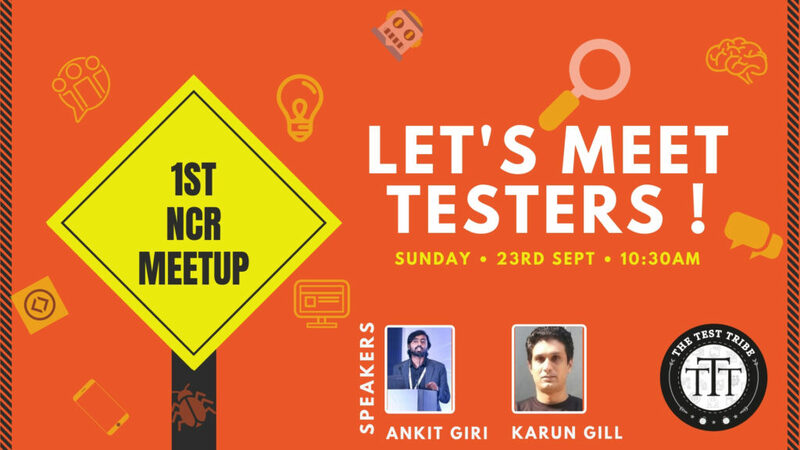 Without any hesitation, I approached one of my QA teammates, Nikhil, with excitement to discuss it and that’s where we decided to go for the meetup. The meetup started with the topic “Mobile Apps Check Automation with Appium” by Sumeet Panjabi. In this session, we got some really good insights into the internal functionality of Appium. We also got to learn how we could leverage the same test code in order to test a given app without any changes in the core automation framework, be it Android or iOS! I personally want to learn more about the framework design and a demo around that would have helped. Nevertheless, it was still a session full of interesting Q&A and learnings for us. After the first session, we took a short break and the second session then started with the topic “TestOps – The role of Testers in DevOps” by Shrish Ashtaputre. 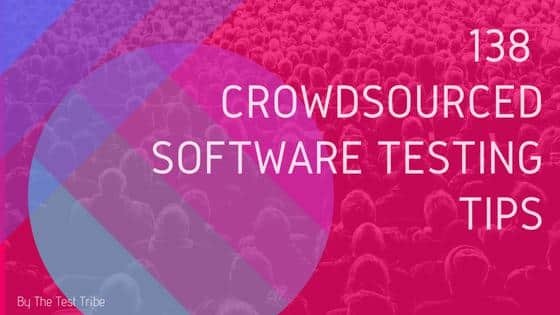 I personally felt that’s something every QA Engineer should learn about since it covered a plethora of aspects in and around QA Engineering like continuous integration (CI), continuous deployment (CD) and very importantly continuous testing (CT) and the role of test automation in all these aspects. I was really glad to realize that we have partially implemented some of the best TestOps practices at AgroStar and we are steadily marching towards the improvements. This session also helped us know about a handful of technologies for various building blocks on CI, CD, CT, etc. Great insights overall! As a software professional, I strongly believe in collaborating, learning and implementing. And The Test Tribe very rightly helped me find that in a community like them! 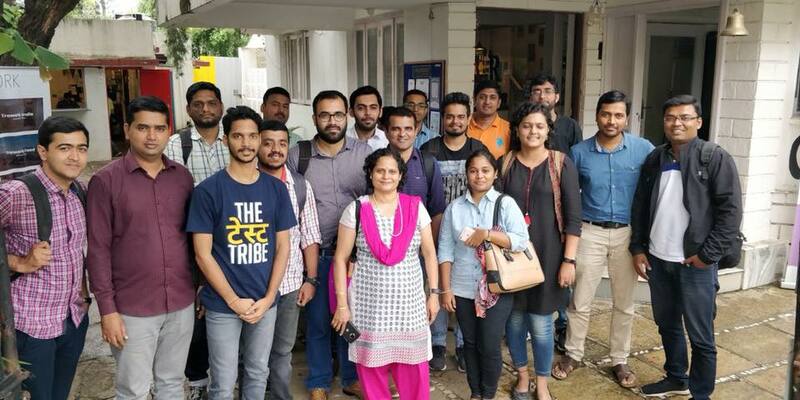 I would like to convey my regards and thank all the passionate and sweet people (or tribals as they say it :)) at The Test Tribe for organizing this meetup in Pune. I would definitely recommend The Test Tribe, especially to the budding Software QA Engineering folks in the industry. Looking forward to more such events from the community. Thank You, Akshay and all the attendees who made it to our first ever Pune Meetup and made it great. Click here to see Meetup Album.